Mortgage Financing: Is A Reverse Mortgage Right For Me? What makes your house feel like home? Maybe it’s all the photos adorning the walls, or maybe it’s the growth chart marked along one door jamb. Whatever the case, if you’ve lived in your home for years, it undoubtedly holds countless irreplaceable memories as well as markers of a life well-lived. Your home has seen your children and grandchildren grow. It has sheltered you from a variety of tough times. But did you know your home can continue to provide for you into retirement? If you’ve owned your home for years and you’ve built up equity, a reverse mortgage can provide extra funds to help you through retirement. A reverse mortgage is, essentially, a way of taking out a loan on the equity of your home. You will receive monthly payments from your lender based on the value of your home. 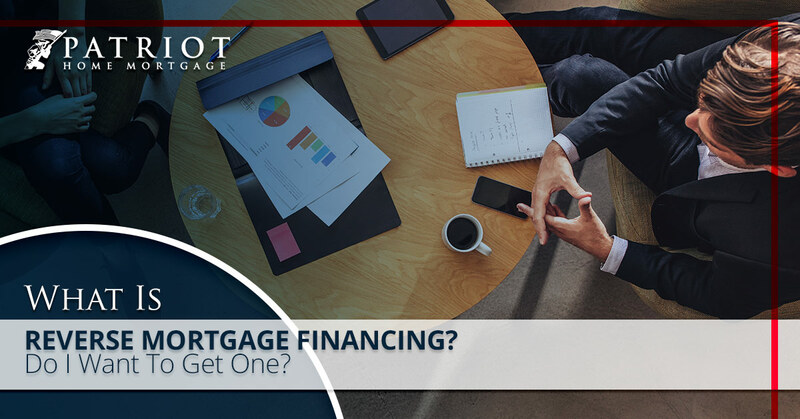 There are some variables that come into play, as there always are when it comes to mortgage financing, but a reverse can be a good way to enjoy the financial value that has built up over the years that you’ve owned your home. Reverse mortgages are specifically for those who are at retirement age or older, and your age will play a large role in determining your interest rate as well as what your monthly installments will be. Some lenders do also allow for reverse mortgages to pay out in a single lump sum, so you’ll want to discuss those options with your lender. Reverse mortgages are a great option for those who are older but want to remain in their home. The loan is based on the value of your home and no payments are due until that home is no longer your primary residence. So, with a reverse mortgage, you could get the cash to help you stay in your home longer and, if you have to move to an assisted living facility, you can use the money from the sale of your home to pay off the reverse mortgage. One of the best features of the loan is that you cannot borrow more than the value of your home, so when the time comes to sell your home, you can rest assured that you will not owe more than your home is valued to sell for. If you’re looking for ways to supplement your retirement savings and help you stay in your home longer, a reverse mortgage can be a good way to do so. Choosing to get a reverse mortgage should be a personalized decision based on your current financial situation and your plans for the future. The best way to make this decision is to work with a mortgage broker to discuss the details of a reverse loan and what those details mean for you specifically. It’s important to meet with an experienced lender or broker because a reverse mortgage isn’t a great option for everyone. For example, if you plan to leave your home to your children or another beneficiary, a reverse mortgage may prohibit that from happening. Or, if you’re on a fixed income, a reverse mortgage may or may not be the best option depending on how well that income supports you. Even with a reverse mortgage, you’ll still be responsible for property taxes, utility bills, and upkeep of the home so if you cannot pay for those things, you may want to sell the home and use the money to downsize — because if you can’t keep up with repairs and bills for the home, you may face foreclosure. In addition, reverse mortgages aren’t the best option if your spouse is still under 62. You can still take out reverse mortgage financing as long as the primary borrower is over 62, but that may affect your interest rate and payout amount. Opting to get a reverse mortgage is a very individualized decision. What may be a great way to benefit from the equity in the home for one person could actually create more of a financial strain for another. Before you decide to apply for reverse mortgage financing, take your time to weigh the pros and cons, discuss your plans for the future with your spouse and family, and meet with a reverse mortgage specialist to learn the particulars. The Patriot Home Mortgage team is here to help you figure out whether a reverse mortgage could help. Give us a call today to learn more!